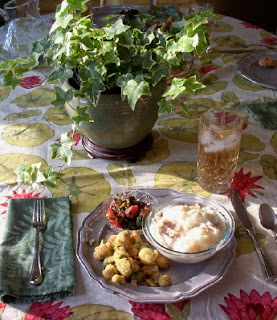 See below for the strategy, cost, and recipe for Monday's Southern-style birthday dinner. Have you ever bought the ingredients for a new recipe, only to learn that making it cost more than a restaurant meal? My Iron Chef Mom strategy puts this process in reverse. 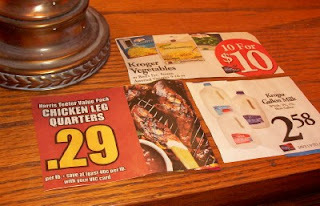 Rather than heading to Aldi with a menu plan, I spend a few minutes checking the week's sales flyers. I see what's on sale--THEN I find the recipes. If I can afford to buy extra for the freezer that week, then the next month's meals get even more variety at rock-bottom cost. It does require a certain amount of flexibility. 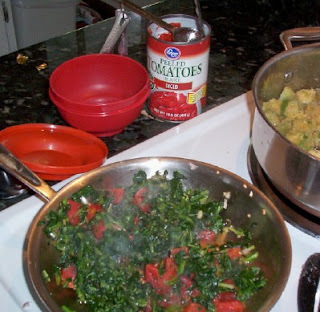 This week I'm cooking without my stockpile, just to show it can be done. Total estimated cost: $3.20, or 80 cents/person. ***indicates that the remaining portion will be used and calculated in another meal this week. Note: The entree was truly a large recipe. I strained the chicken and dumplings for tomorrow's lunch, and bagged over a quart of chicken sauce for the freezer, probably for a chicken pot pie.